On December 10th, 2015, a delegation of 50 members, most from 15 historically Black colleges and universities held a rally. The familiar, and frequently polarizing, chant of “Black Lives Matter” echoed in the hallways of the Le Bourget Conference Centre. This was Paris, France; this was the United Nations’ 21st Conference of the Parties (COP21). The movement/delegation was there on behalf of minority communities calling for “climate justice.” “Dirty Air = The Silent Killer of the Black Community,” read one sign, “Don’t Frack Up My Neighborhood,” read another. The Black Lives Matter (BLM) movement is perhaps best known for attempting to open a national conversation in the US around police brutality. But some BLM activists are now connecting the dots between the inequities in how police interact with communities of color versus White neighborhoods, and inequities in how communities of color are protected from the effects of climate change — as they are often hardest hit by them. These issues are all connected, so you can’t solve climate change if we do not also solve other inequities. According to a 2012 study by the National Association for the Advancement of Colored People’s (NAACP), Black and Latino families are more likely than White households to live near coal-fired power plants, for example. And African Americans and other communities of color are often more vulnerable to drought, heat islands, and extreme weather events, due to a legacy of socioeconomic inequalities or unequal protection from local and national government officials. The delegation staged various actions such as protests, speeches, and workshops to educate anyone interested on the plight of low-income communities and people of color. While some may have been initially confused, thinking the climate change discussions were being co-opted to amplify concerns of stateside police brutality, Tekola and the delegation soon explained why Black and Brown lives also matter when it comes to the climate crisis. 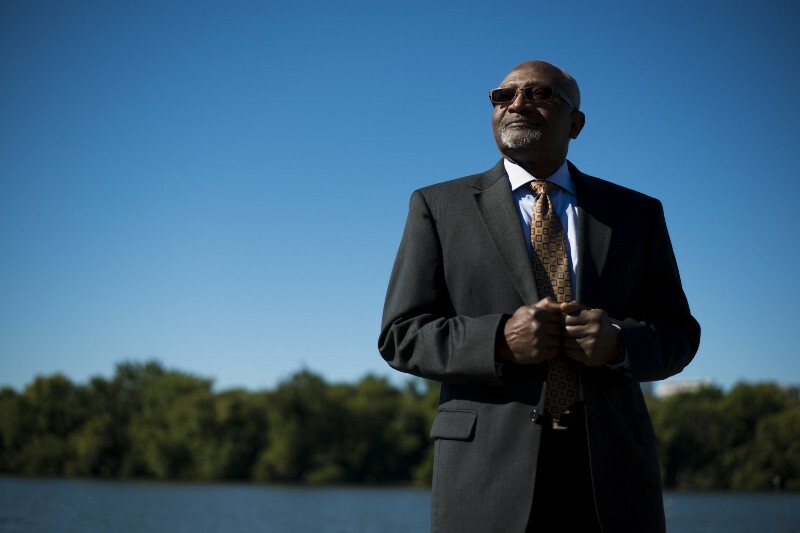 Part of the reason people of color haven’t been as able to contribute to the larger conversation around climate change — the one that includes inequities in race, class, and other socioeconomic factors — is that mainstream environmental groups have largely failed to reach out to them and hear their stories, says Dr. Robert Bullard, Dean of the Barbara Jordan-Mickey Leland School of Public Affairs at Texas Southern University. Dr. Bullard was one of the organizers of the delegation. Jacqui Patterson, director of the NAACP’s Environmental and Climate Justice Program, was also well aware of that need. 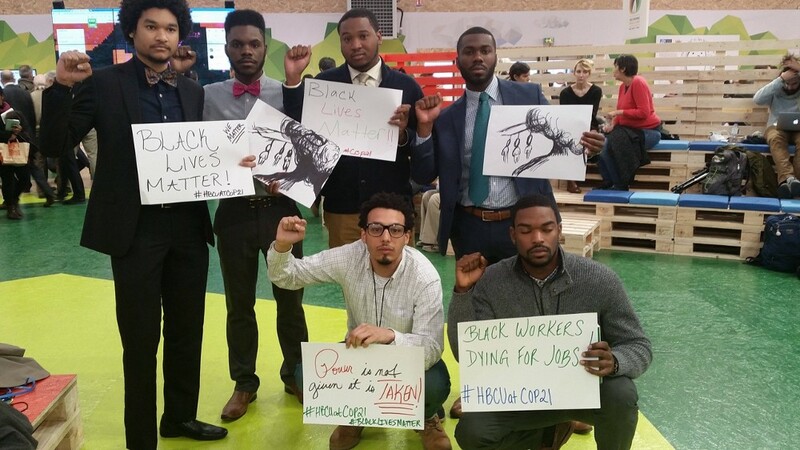 The NAACP sent its own delegation of youth and front-line community leaders to Paris, led by Patterson. “People are really being starved for conversations around race and climate change,” she says. Back in 2009, when the program first launched, she started by going out in communities of color to obtain the firsthand accounts of experiences dealing with impacts of climate change that would shape the program’s strategic objectives. She was flooded with responses. The stories had a striking repetitiveness, but looking at the numbers — including that 68 percent of African Americans live near coal-fired power plants despite making up only 13 percent of the US population — things became obvious and, to an extent, uglier. It isn’t just climate change that’s affecting communities of color; it’s also the greening process that’s largely excluding them. But African-American communities are taking action where governments are stalling. Much of the Gulf Coast region is still struggling to recover from Hurricane Katrina, the superstorm that hit the Gulf Coast in 2005. Kali Akuno, co-founder of Cooperation Jackson, a cooperative network in Jackson, Mississippi, points out that there are several climate-change impacts in the region that were, and are, having pervasive adverse effects. The changing of these zones, which were once well-suited for agricultural crops, is gutting the state’s economy, which is still heavily dependent on food production. So organizations like Cooperation Jackson have sprung up to address these deficiencies related to climate change, as well as the region’s history of discrimination and economic inequality. Cooperation Jackson aims to transform Jackson into the green capital of the South in such a way that benefits everyone and can be replicated in other resource-strapped and low-income communities. 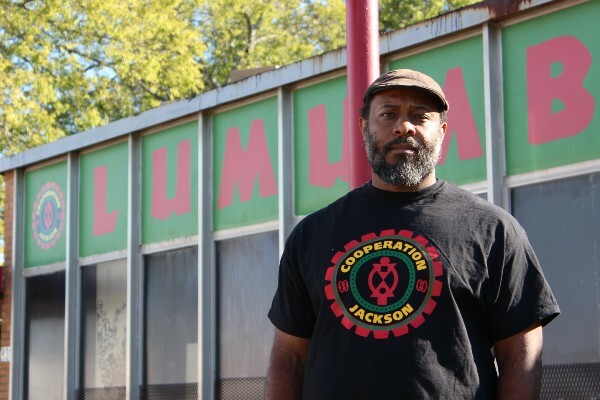 The overall goal is to create a network of worker-owned cooperatives and enterprises in Jackson to keep a greater concentration of earned income circulating locally. Cooperation Jackson’s community Housing Co-op has purchased a number of vacant lots and abandoned homes to develop sustainable low-income housing, with an eye for energy-efficiency. It also plans to develop a zero-waste, highly energy-efficient “EcoVillage” co-housing community. Much of this work will be completed by other Cooperation Jackson co-ops, including the green Construction Co-op and the Waste Management/Recycling Co-op. The group has already established and is expanding a network of cooperative urban farming plots around the city, to supply Jackson with affordable, high-quality food to fight against food deserts, which have only become more prevalent since Katrina. Cooperation Jackson also plans to launch a child care co-op, to provide affordable child care and a “multicultural education” to the city’s children. And soon, the Nubia Lumumba Arts and Culture Co-op will expand the arts, entertainment, and hospitality industries in the city. Both communities of color and White communities are looking at solving the climate crisis, but for a different set of reasons, says Akuno. Communities of color often start from the pragmatic viewpoint of having access to the worst food, and of not having jobs or sustainable farming. White communities, on the other hand, are more likely to already have their basic survival needs met and come more from a standpoint of environmental conservation, he says. Most importantly, he says, decision makers in all communities need to be representative of the changing demographics of the world, to ensure everyone can afford sustainability. 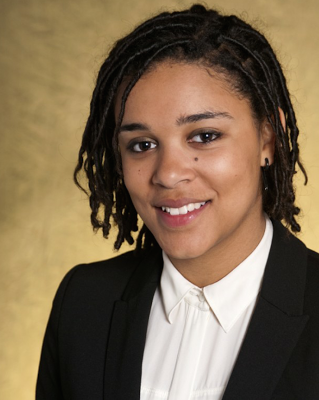 It’s to everyone’s benefit that we make both happen sooner rather than later, says Sarra Tekola. The best way for all people to help is by spreading awareness, through conversation and activism, says Tekola.